Japan has revived its Hard-Line Doctrine For National Security And Change 9th Article In Constitution, Which Renounces Japanese Militarization. Seventy-six years after Japan unleashed one of its deadly naval attacks in history on the US fleet at Pearl Harbor in 07 December, 1941. The country has once again determined to revive and reorganize its military as one of the world's ambitious military powers, experts say. The resurgence comes as consequences in geopolitics events when Japan found itself between the "sword and shield" of rattling nations. Despite the national constitution imposed by the United States after World War II that limited the country's forces to defensive purposes only as formulated in Article 9 provisions that declares "the Japanese people should forever renounce war as a sovereign right of the nation and the threat or use of force as means of settling international disputes".. 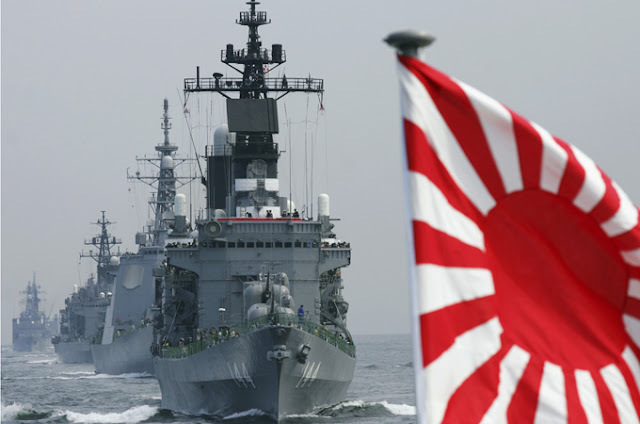 The modern Japanese military will deter the growing arm races and balance the competition with China and North Korea in the Pacific and Southern Chinese Sea. The former imperial forces has high potential to emerge to its old stance of Pacific military prowess (Kantai Doctrine) ; after 66 years restriction from the Second World War. According to the mid-report that the Japanese defense ministry approved, the country should strengthen its naval forces to protect its furthest borders, and increase its observation capacity. The report frequently emphasized that China and North Korea threatened regional peace in the Pacific, therefore the Japanese army should be brought to a level in which it can respond to such threats. 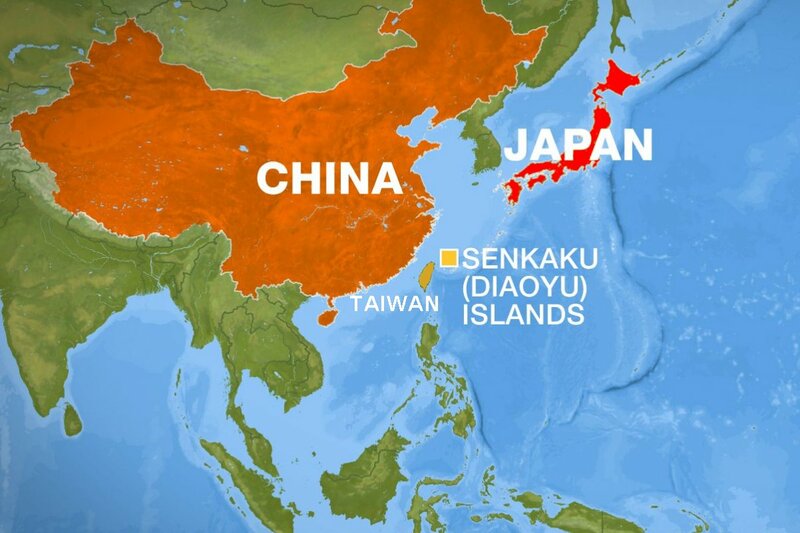 Japan and China had tension recently because of both countries' sovereignity claims on a chain of islands, known as Senaku in Japan, and Diaoyu in China, which is a "new global flashpoint". Japanese Prime Minister Shinzo Abe is said to follow hard-line security policies that devoting more budget to national security, and declared his willingness to change 9th article in Japanese constitution, which renounces “war as a sovereign right of the nation protection. Shinzoism: Shinzo Abe has won big, voters handed Abe's Liberal Democratic Party with a sweeping victory in the Oct. 22 balloting for Japan's House of Representatives. The call for the election came in late September after North Korea had just fired another test missile, with its longest delivery system yet. Over the past months, North Korea has tested six missiles, with each test either falling into the Japan Sea or passing over Japan to land in the Pacific. This latest missile flew over Japan's northernmost island of Hokkaido before falling into the Pacific Ocean. North Korea's leader, Kim Jung Un, used strong threats after this missile test, saying that he hoped to see Japan sink into the sea. Abe and his hawkish, conservative coalition is rebuilding Japan's military capabilities and to scrap its WWII-era constitution that prohibits aggression. Abe's agenda has taken shape in a number of ways. In August, his minister of defense submitted a historic budget request that violates a decades-old unwritten principle. 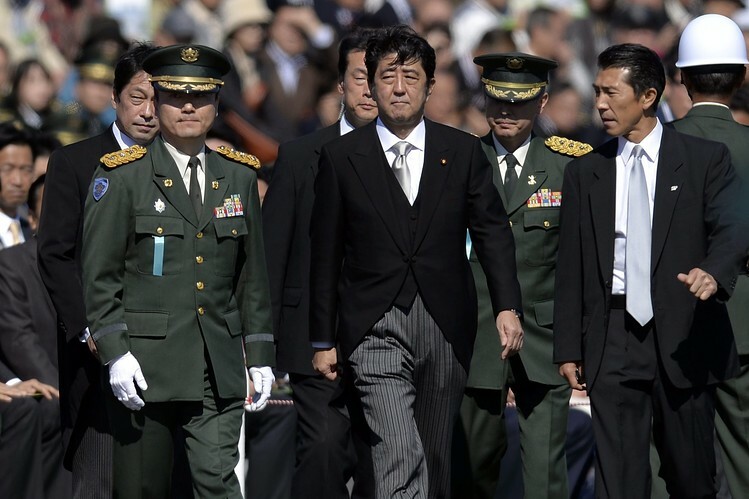 The principle is for Japan's defense budget to never be larger than 1 percent of GDP. This principle was part of the commitment made after WWII to forever renounce military aggression. Japan’s Cabinet Approved The Country’s Largest Defence Budget Including Plans To Buy Surveillance Aircraft, Drones And F-35 Fighter Jets. The new budget requested is whopping about 5,255 billion yen (US$48.1 billion) for military spending which is just closer to 2.5 percent of Japan's GDP in 2018 fiscal year. 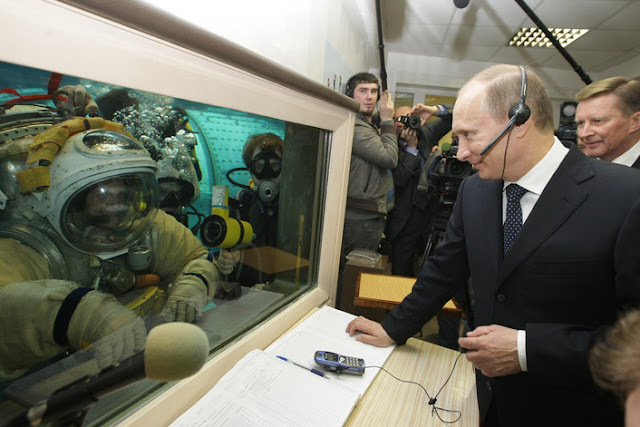 The request includes new land-based missile defense systems to monitor space and provide auto-warnings for missile launches. This technology would assist in detecting potential missile launches from North Korea, that could theoretically intercept them. In September, the Japanese Navy launched the ship "Myoko" that will patrol the Japan Sea between Japan and Korea. It will guard against potential missile fires by North Korea with anti-missile defense capabilities, identical to those of the US Navy. At the launch, Abe said that the "increasingly severe security environment" posed by North Korea and China must be "squarely faced" by Japan. He referred to the environment awaiting the Myoko's crew as a "raging sea." Many in Japan anticipate the role of Japan's military will soon change to respond to North Korea. Increasing military spending in the budget now may lead to future increases and spending on more offensive weapons. For example, two years ago, Japan and the US renegotiated their security alliance. Japan agreed to come to the aid of its most important ally if the US or one of its allies were to come under attack. A discussion on changing the Japanese Constitution's WWII prohibition of aggression is likely to be revived. Senkaku (Diaoyutai) Islands Are group Of Uninhabited islands Which Are The Flashpoint Between Japan And China. The requested increase in military spending in August had an immediate effect on the region and possibilities for peaceful relations. A spokesperson for China's Ministry of Foreign Affairs noted China's concern over the new plan and accused Japan of inflating the threat posed by China in order to take a more offensive stance in Asia. The relationship between China and Japan is already tense. The two nations are engaged in a dispute over the Senkaku/ Diaoyutai islands in the East China Sea. This disagreement flared up last summer when China stepped up military activity near the islands. Then in February, President Trump reaffirmed the US commitment to come to Japan's aid with conventional and nuclear weapons in a statement signed by both leaders. Abe's victory confirms that Japanese people take these threats seriously. Their fears may play into a developing brinksmanship between Japan and North Korea that could, in my opinion, implicate the United States. Trump will visit Asia in November, and his stay in Japan includes a visit with Japanese who were abducted by North Korea during the 1970s and '80s. Doing so may open old wounds with North Korea the stories of abduction provoke strong feelings for the Japanese people who will be reminded of North Korea's past offenses. Prospects for peaceful resolution with North Korea are becoming more slim, therefore strengthening Abe's case for building Japan's offensive capabilities is inevitable alternative.